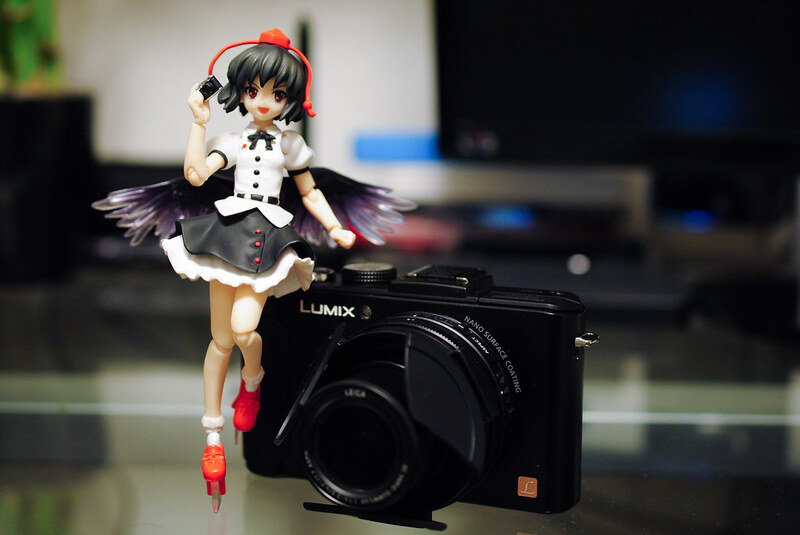 So I upgraded my venerable Lumix LX5 to the next iteration the Lumix LX7. I use my LX5 way more than my DSLR. For simple snaps for Twitter and other social media, family gatherings, friend gatherings, it simply is my go to camera. I also use it in mostly in low light conditions, inside homes, in restaurants, etc. Plus the LX7 has a new faster F1.4 - 2.3 lens, the sensor swapped from a CCD to a CMOS sensor, upped ISO performance and new easy to use controls for aperture and white balance. It's all too perfect for my needs. To make it even better Amazon had a sale on Point & Shoots during Black Friday and I had an Amazon gift card allowing to buy the LX7 for essentially half off the regular price, considerably less than what I paid for the LX5. With this my "imaging armory" now contains my lovely Nikon D3000 with the stock 18-55mm lens, a 40mm micro prime lens, the LX5, a fancy Eye Fi card for easy transfer of pictures to my PC at home, an IR remote and now the LX7. Someday when I'm more willing to drop a few grand for the Nikon 105mm micro prime lens and new DSLR that allows me auto focus non AF-S lenses I will add those to the list as well. I would also like a nice portrait lens for when I take pictures of things that are not figures, like people. What about you guys, what's on your "imaging armory", what do you want to add to it?